WINTER IS COMING! You need to clean out your garage to make room for the cars before the ice and snow arrive. You know you have more stuff than your curbside trash bin can hold, but do you have enough to rent a dumpster? There is a good chance that if you need to clean out your garage or attic that one of your neighbors does too. Have you considered sharing a dumpster? money, conserve resources, and develop friendships with your neighbors! There are several reasons to consider sharing a dumpster with a neighbor or two. The first reason is SAVING MONEY! No matter how many people choose to share the dumpster the cost is the same. The neighbors will decide whose driveway the dumpster will be placed on. They will also decide who is responsible for paying the dumpster company. The other neighbor or neighbors will then pay back their portion of the rental. Another reason to consider sharing a dumpster is that it is a great way to MEET YOUR NEIGHBORS! Are you new to the area and trying to dispose of your moving boxes, or you would like to redo the landscaping? Perhaps ask all the homeowners on your block if they would be interested in sharing a larger dumpster. This would be a great way to introduce yourself to the neighborhood! You can pick a day and call it a "Clean Up Block Party!" Each homeowner can be responsible for a refreshment and during cleaning breaks everyone can mingle and get to know each other! One last reason to consider sharing a dumpster is for NEIGHBORHOOD BEAUTIFICATION! 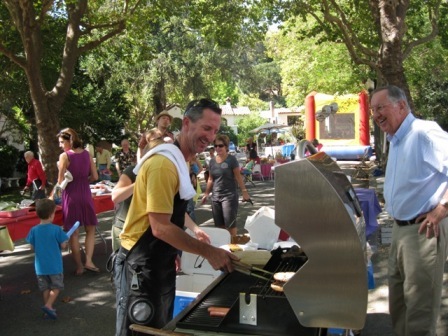 Does your neighborhood have a park or commons area that families like to go play and enjoy time together at? If it does, I'm sure you like for it to stay clean and safe for everyone. Ask your homeowner's association if they would like to hold a neighborhood clean up day! If needed, a few dumpsters can placed throughout the neighborhood to make clean up easier. Dumpsters can be used for general trash found in the greenbelts and parks, as well as for landscape renovations! 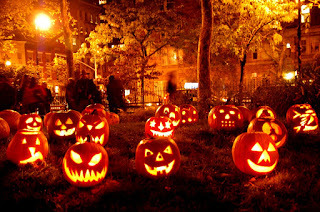 If it is a success, then it can become a seasonal event. Perhaps hold a spring cleaning day as well as a fall clean up day. If it becomes a regular event, then people can plan ahead for it, which will increase participation. Most household items can be thrown into the dumpster, with the exception of hazardous materials. Yard debris such as top soil, brush, plants, and gravel can also be placed into the dumpster. Some materials such as dirt, concrete, rock, and brick are quite heavy. Check with your rental company to make sure your materials won't overload the dumpster. Again, renting a roll-off dumpster to share with one neighbor or your entire street can help you create new friendships and encourage people to clean out their clutter and and improve their landscapes! There are several dumpster sizes to choose from, so find the one that is best for your needs! Ready to rent a dumpster? If so then give us a call, at 405-640-4345! We will be happy to bring one out to you so you can get started meeting your neighbors and making your neighborhood beautiful! First Day of Fall is Here!! Today is the first day of Fall! What does Fall mean to you? There are so many things that come to mind when we hear fall! Our first thought is the beautiful color changing and falling of the leaves. We also enjoy cool crisp nights, tailgating and football, bonfires and hayrides, and of course pumpkin patches and Halloween! 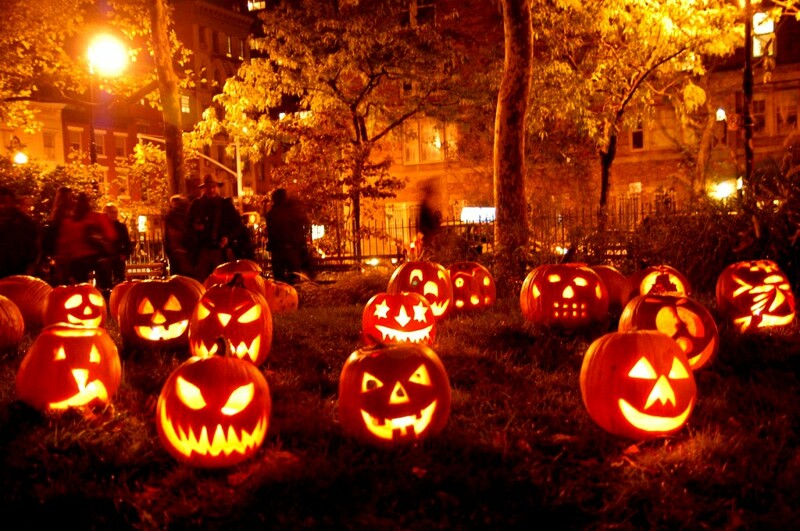 One of our favorite things about fall are all the amazing decorations!! 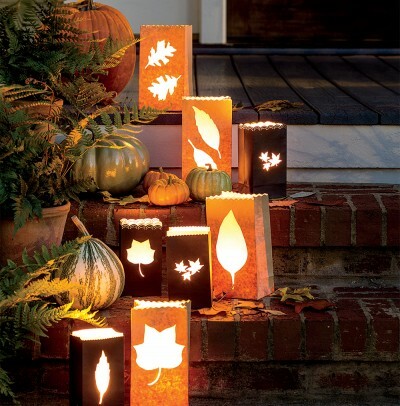 From fallen leaves, spicy scented candles, pumpkins, and scary Halloween decorations, there are so many things to choose to make your home festive for fall! Check out Southern Living magazine for some great decorating ideas! Of course, before you start getting your decorations out you want to make sure your home is clean and uncluttered! Just like spring cleaning there are a lot of things you need to do to get your home ready for fall and the upcoming winter! Such as cleaning gutters and downspouts, cleaning patio furniture, storing away summer toys, cleaning baseboards, and scheduling furnace inspections. Several great fall cleaning checklists can be found online. Of course, for those BIG fall cleanouts Bin There Dump That Oklahoma City is there for you! Our residential friendly bins are perfect for getting your home organized for the upcoming holiday season! 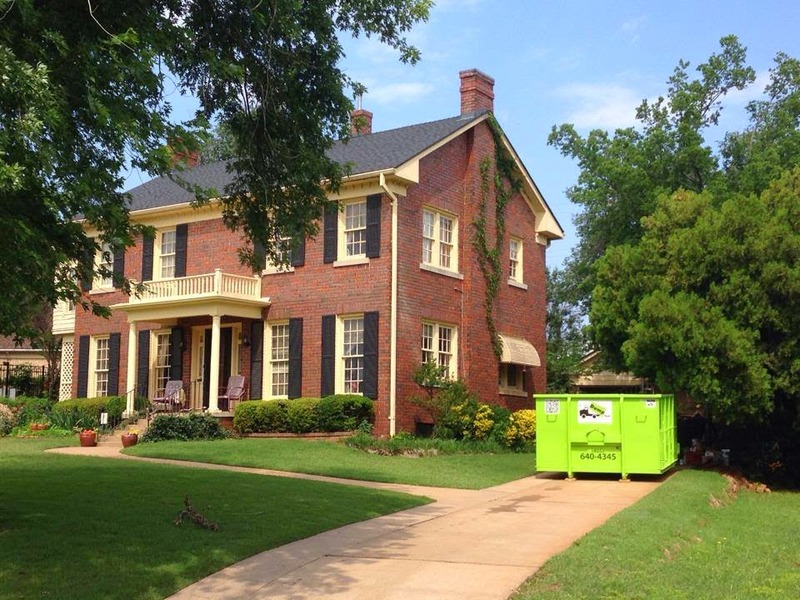 Give us a call at 405-640-4345 and we will bring you the bin that is just right for you! It doesn't matter if you are a roofing contractor or an individual homeowner who plans on replacing their roof themselves. Renting a dumpster for your roofing debris just makes sense! 10 and 15 yard dumpsters are perfect for a roof tear off! 1. The dumpster can be placed up against the house to make it easy to throw the shingles and other roofing materials into. This will reduce the risk of materials blowing into your neighbor's yard and will keep your job site looking clean. 2. The dumpster can be picked up in the evening after the job is completed. All area dumps/landfills close at 5pm on weekdays and noon on Saturday. 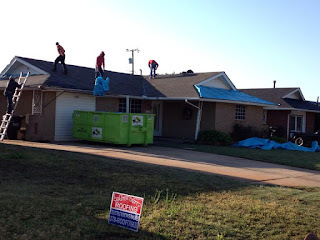 Therefore, if you choose to haul away your own roofing materials and your job is not completed until evening you will have to wait until the next morning to dispose of your used roofing materials. 3. Shingles are very heavy. Did you know 8 squares of laminate shingles equal 1 ton?? The average roof in the Oklahoma City area is 30-40 squares. That is about 4 to 5 tons of materials! If you plan on hauling your shingles to the dump yourself with a trailer, think about the stress placed on your vehicle to haul that much weight. The landfill is also an uneven terrain that makes driving a heavy trailer through it very difficult. The risk of breaking your trailer hitch, axle, or getting nails in your tires is very high! Why take that risk? Let someone else do it! If this sounds like the right solution for your roofing project or you have more questions about our service please do not hesitate to give us a call at 405-640-4345. Whether you are a homeowner or a contractor someone from our office would be happy to assist you! If you haven’t made it to Midtown on the last Friday of the month, you are missing something amazing! 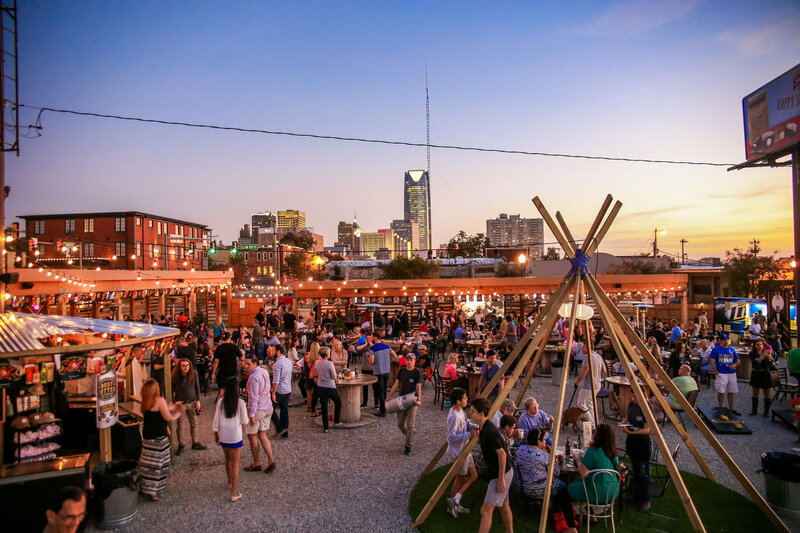 Oklahoma City has numerous areas of resurgence but Midtown has to be the most impressive. Not only are there new restaurants and entertainment venues but festivals, apartments, and neighborhood businesses. It is exciting to see Oklahoma City thriving and full of young people repopulating and rebuilding our OKC core. In May of 2014, we partnered with Brian Bergman to donate dumpsters for an H&8th event. Bryan has done a great job coordinating the event and is a person we look forward to seeing each month. For being from a small town, he has really made an impact on OKC. At the time, we did not know a lot but were excited to contribute to what we saw as a small push to revitalize part of downtown OKC. We were amazed at how each month the attendance continued to grow from 20,000 to a peak of approximately 40,000. If you visit once, you have not seen it all. From a classic car parade, bicycle races, and OCU Law projecting March Madness games on the side of their building; each event seems to be unique. Fast forward to 2015, this year Bleu Garten , Dust Bowl, Fassler's Hall, Industry Flea's pop up shops, and numerous other businesses have opened. While H&8th extends from 6th to 10th St and from Hudson to Western, the influence and party extends well beyond. Check out this great video to learn more about H&8th! We have recently learned that National Clean Out Your Garage Day is slated for September 6th of this year, but we say, "Why Wait"? The rain and storms from last month have finally ceased, the sun is out, and the spring temperatures are just right to tackle outdoor projects like cleaning out your garage. 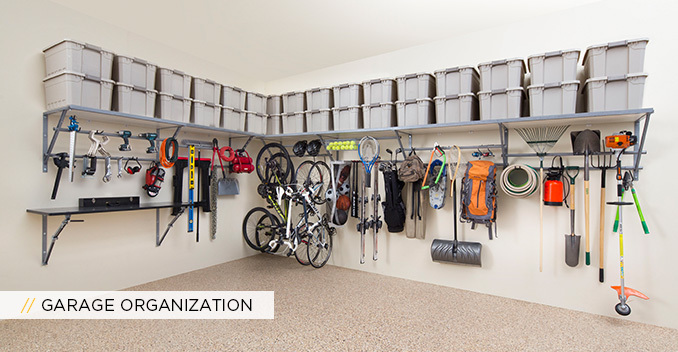 Here are five tips to help you have a great looking, organized garage. In no time, you will have a clean, roomy garage to park your vehicles, toys, or to even set up a man cave in! 1) The best place to begin of course is to take EVERYTHING out of the garage. This will give you a blank canvas. 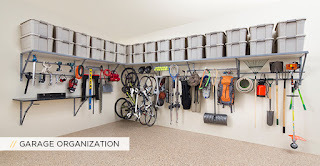 Starting with a clean slate can help you decide which areas are best to set up things like vertical shelving, storage bins for the kids toys, or a small workshop area for tools. -When did I use this last? -Could someone else use it more than me? If you are not sure of the answers to these questions, then it is time to sell, donate, or toss it! Be careful when disposing of things such as paint or other hazardous materials. If you have these items take them to your local hazardous waste facility. A great place to dispose of these items in the Oklahoma City Metro area is Household Hazardous Waste Collections Facility off of SW 15th & Portland. 3) RENT A DUMPSTER! Call ahead and order a dumpster to be delivered the day before you start your garage clean out. This way you have a big bin to toss your unwanted items. Even if your community has a Big Trash Day, it is often inconvenient to wait until that day arrives. Renting a dumpster is more convenient than hauling your items to the curb and letting them sit for days before the local trash service comes by. It can also be safer and more affordable than taking multiple trips to the dump yourself. 4) So, now everything is out of the garage and you've decided what items will be kept or disposed. Now it's time to give your garage a good bath! Sweep the floors, remove the cobwebs, and hose everything off. Make any necessary repairs, change light bulbs, and maybe even give the walls a fresh coat of paint! 5) ORGANIZE! Now it's time to put the items you are keeping back in the garage. Use as much vertical space as possible! This is particularly important if you plan on storing your car in the garage. You can find affordable shelving and cabinetry at your local DIY store. Keep as much stuff off the floor as possible. Move all seasonal items to the attic. Pick up some holders from the hardware store for brooms, rakes, and mops. Heavy duty hooks can be installed for items like bikes, scooters, and weed eaters. You can use old jars to store nails, screws, and bolts. Be sure to label everything! You will be so glad you did! Now you are ready to enjoy your garage and the rest of your summer! 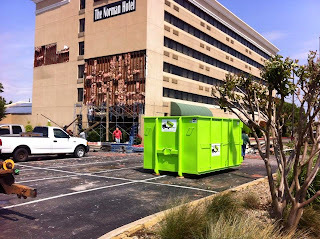 For dumpster rental information visit our website at okcdumpsterrental.com or give us a call at 405-640-4345. As a contractor, are you tired of constantly waiting for your dumpster to arrive so you can start the project? Frustrated when you receive a dumpster that is old, rusty and a real eyesore? Do you need to receive your dumpster within 24 hours of ordering? Do you need a company that will deliver on time as promised? A company with courteous uniformed drivers that will take the time to sweep the area after the dumpster has been removed? Our 5 convenient sizes are great for all kinds of projects. Whether you're a landscaper, roofer, remodeler, or general contractor, we have the bin right for you! For more information check out our website or call give our office a call at 405-640-4345. One of our friendly office assistants would love to visit with you and answer your questions. If your not convinced, check out a few of our reviews! What Materials Are Not Safe to Place in My Dumpster? One question, we receive daily from customers, is "Is there anything I can't throw in the dumpster? The answer is Yes. We cannot accept any hazardous, regulated, or dangerous materials. Federal, State, and Local governments regulate certain materials which are hazardous to people or the environment. These items include: asbestos, bio hazardous waste, tires, certain pesticides, paint, car batteries, oils, and freon related items. Additionally, we cannot accept dangerous materials that are flammable or combustible. These are items which can cause injury to landfill workers or other customers disposing of their debris at the site. The heavy dozers running over refuse can cause items to explode. For safety, we cannot accept items such as: ammunition, propane bottles, gasoline, oils, paint thinners, or other combustible chemicals. Many are surprised to find we ARE able to accept tires and appliances, as well as electronics and mattresses. If you are unsure if an item can go in the dumpster just give us a call at (405) 640-4345. We would be happy to answer your questions. 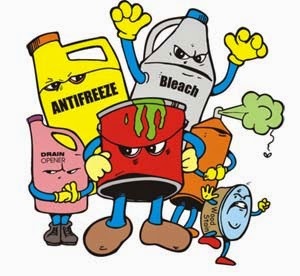 If you do have toxic or hazardous materials to dispose of you can contact the Household Hazardous Waste Collection Facility in Oklahoma City at (405) 682-7038 or visit them on their website. Is it Better to Rent a Dumpster or Haul Junk to the Dump Myself? Several times a week, we receive calls from people inquiring if they can bring us their household items, construction debris, or regular trash. We explain we rent roll-off dumpsters but can not accept drop-offs. Many are surprised to learn renting a dumpster for their residential needs is an option. A common question is, “What is the better deal, renting a dumpster or hauling it to the dump themselves?” The answer to this question is, “It depends”. We would like to provide you with some useful information to help you decide which option is best for you. The first thing you need to determine is how much junk you have and how you plan on getting your items to the dump? Pick-up truck beds range in size from 1.5 cubic yards to 3 cubic yards. The standard full size pick up has dimensions of 8’ long X 5.33’ wide X 1.5’ high. This will hold 2.5 cubic yards of materials. Next, you will need to decide how many trips it will take to complete your project. Is it going to take you 1 trip or 10 to get rid of all of your items? Most companies rent dumpsters ranging in sizes from 10 yards to 40 yards. The charge for one pick-up load at an Oklahoma City landfill can range from $48 to $65. The average cost of a 10 yard dumpster in the Oklahoma City area is $285. If your project will take four or more trips to the dump, it might be more economical to rent a roll-off dumpster. Other things to consider is the cost of fuel, weight of the items, the value of your time, and the potential hazards to your vehicle at the dump. Most of the landfills are located on the outskirts of the city, requiring more fuel and time to get there. The landfills are often muddy and have various potential hazards such as nails, broken glass, and other sharp objects which can cause tire punctures. Many residential customers like to do their projects on the weekend. The local landfills close at noon on Saturday and are closed on Sunday leaving you to hold your items until Monday. In summary, although renting a roll-off dumpster can initially sound costly, in most cases, it will not only save you money, but also time, stress, and potential damage to your vehicle. If you have just a few items and think it will only take one trip to the landfill then choosing to haul your own items may be the best choice for you. Below are a few of the landfills located in the Oklahoma City Metro area. Please do not hesitate to contact us at (405) 640-4345 with any questions about our dumpsters, or visit us on our Facebook page. How much does it cost to rent a dumpster in Oklahoma City? Have you purchased an older home and want to fix it up? Have you finally decided to remodel that master bathroom or clean out the garage before the winter storm hits? Are you trying to decide if it is affordable to rent a dumpster or just haul it to the landfill yourself? How much does renting a dumpster actually cost? First, you will need to decide which size dumpster is best for your project. If you have a small clean-out or small bathroom remodel, a 10 yard dumpster might be all you need. If you are renovating a larger room or have a major clean-out, you might need to rent a 14 or 20 yard dumpster. Dumpster prices vary on size. On average, the smaller dumpsters run about $300 and the larger sizes can be $350 and up. You might be torn on whether or not it would be cheaper to make several trips to the dump, or landfill, yourself. 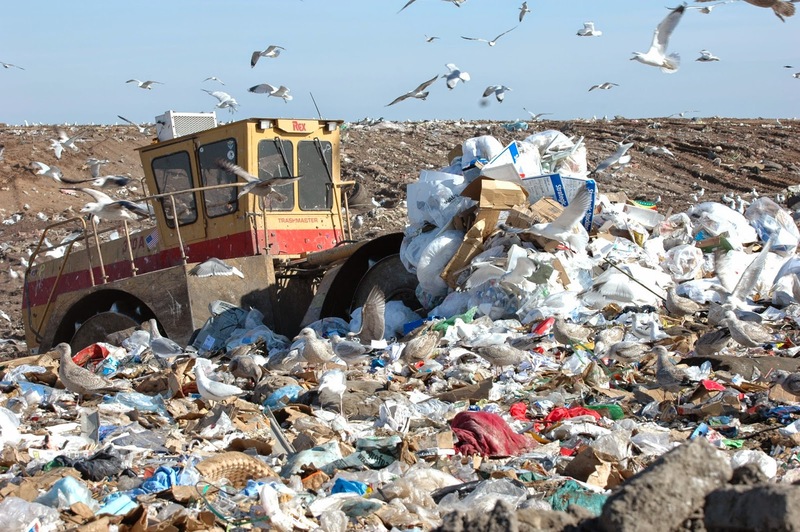 The average fee charged by the local landfills range from $40-$70 per load. You will need to ask yourself if it is worth it. The landfills can be muddy and quite time consuming if there is a line to get in or out. Not to mention, the landfills can be hazardous for the average vehicle tire. However, if you only have a few items, making a trip to the landfill yourself might be the answer for you. The second factor that affects the cost of dumpster rentals is location. If you live a considerable distance from the city or outside of the metro area, a company may need to charge an extra fee to compensate for the extra fuel and labor they may incur. This charge can be anywhere from $50 and up. Thirdly, you will need to know what type of items will be placed in the dumpster. Some dumpster companies have weight restrictions. If your items go over a certain tonnage, you might get charged an overage fee. They may also have restrictions as to the types of materials placed in their dumpsters such as paints, oils, tires, and appliances. If these items are found in the dumpster you may get charged an extra fee as well. Lastly, you will also need to ask yourself “How long will I need the dumpster?” Many dumpster rental companies have specific rental periods. These can range from 3 days to 14 days. Most companies are happy to let you extend your rental period for an extra fee, so be sure to ask if that is an option. In summary, you can see there are several things to consider before deciding if renting a dumpster can be the affordable choice for you. Renting a dumpster can be a nice, quick way to dispose of your unwanted items or debris and save you from many costly trips on your own to your local landfill. When you call around to the different dumpster rental companies, be sure to ask lots of questions so you are not surprised by any hidden fees. If you have any questions, please give us a call at (405) 640-4345.